Editor’s note: Thank you to Silk for sponsoring this post! I love coffee. I love the taste, the smell, the beautiful splash of creamer changing the rich dark liquid into a creamy beige. Recently, I found the most amazing French vanilla coffee at Sprouts Farmer’s Market. I took one sniff of the vanilla melded with freshly ground coffee and knew that this had to be made into a cake right then and there. That’s right, in today’s post we’re making French Vanilla Coffee Cake. And it’s completely dairy free! Actually, it’s a French Vanilla and Coffee flavored coffee cake, but that title would have been a tad redundant. 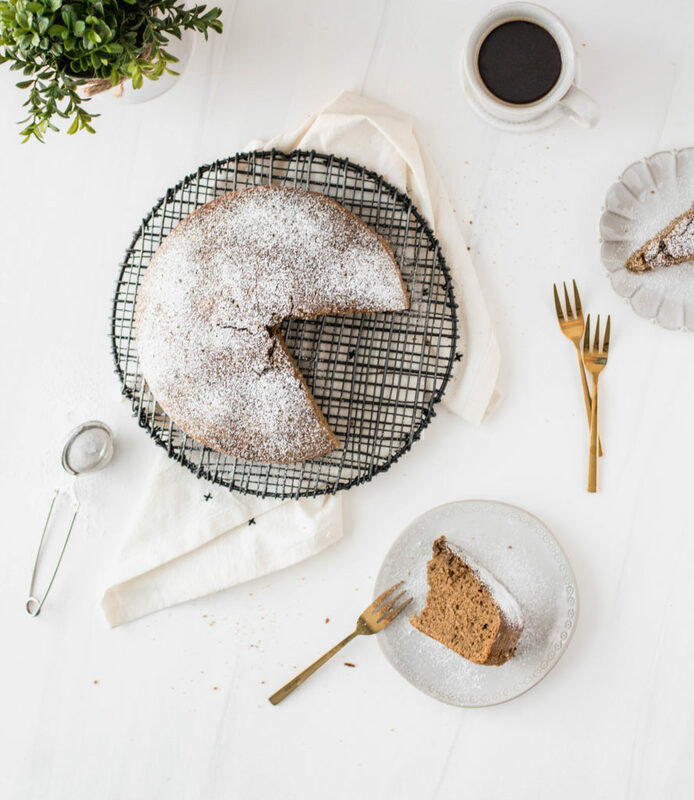 Coffee cake is a traditional British Cake served with coffee – often topped with walnuts or streusel. 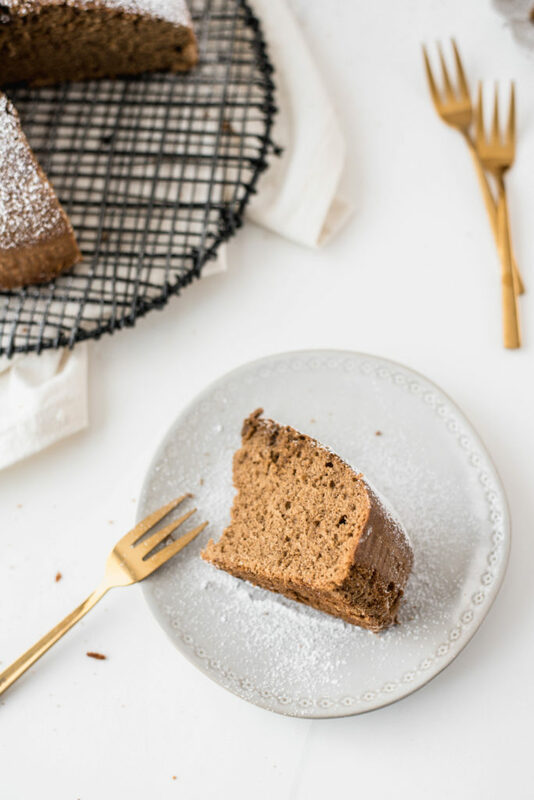 I’ve found that coffee cakes are a little less sweet than other cakes you might be used to, mostly because they are often served along with breakfast. Talk about a tradition I can get used to! 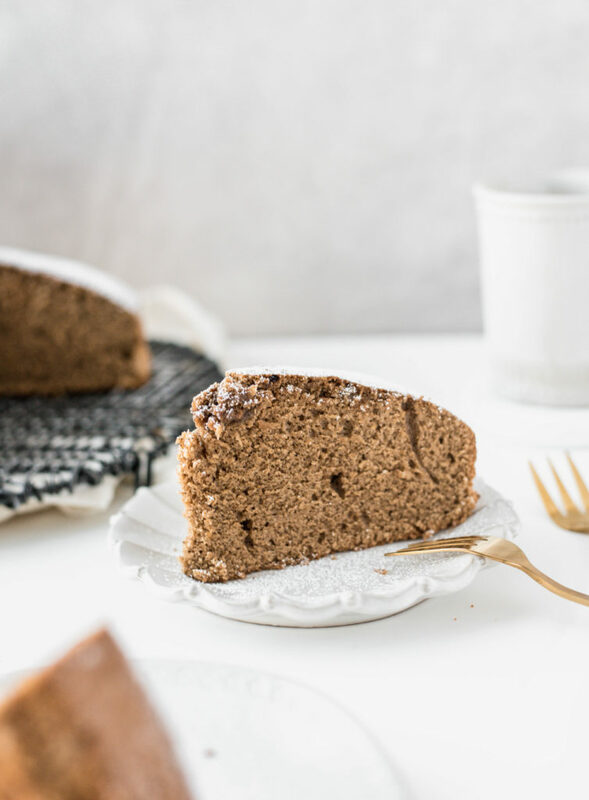 A typical coffee cake is good and buttery – but, since I’m reducing my dairy consumption – I wanted to think of ways to make this cake dairy free. Which means no butter. Womp womp. 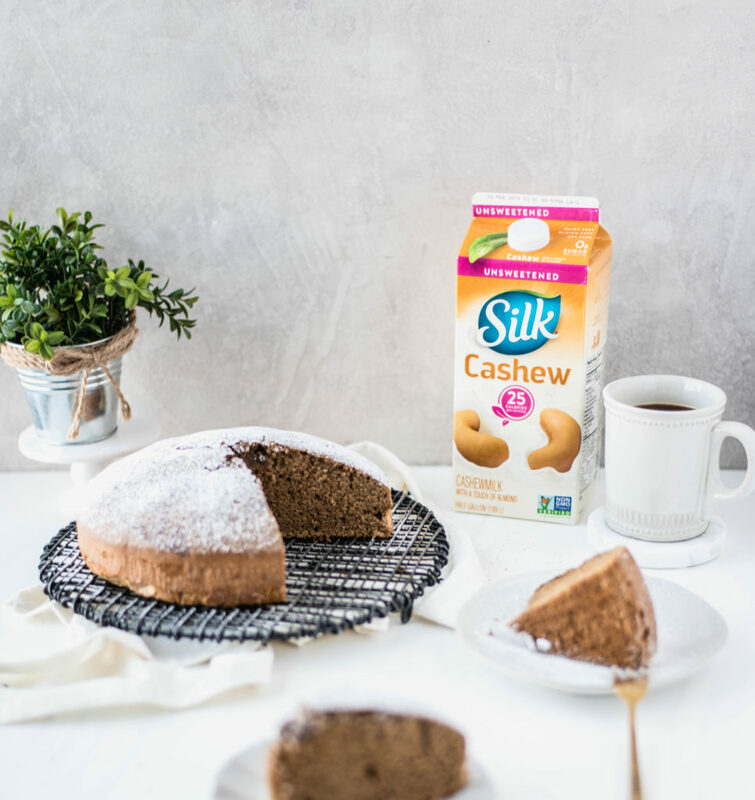 Instead, I’ve found that using a combination of olive oil and unsweetened Silk® CashewMilk does the trick. I love using cashew milk because it is creamier than other dairy alternatives. It is also subtle in flavor which won’t compete with the other flavors in the cake. If you’re thinking about trying a plant based diet, or just cutting back your diary consumption like me, now is a good time to give it a try! Sprouts Farmers Market is having a “Plant Based Tastes Great” Sale and offering 35% off Silk® and So Delicious® products between 3/27/2019 and 4/3/2019. 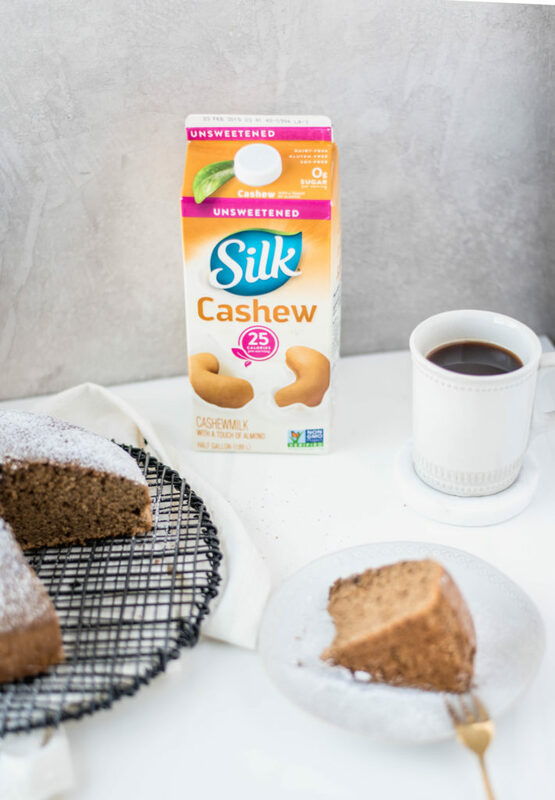 I stock up on the unsweetened Silk® CashewMilk since it’s very versatile in the kitchen as a replacement for milk or cream. Easy swaps like this make plant based eating so much easier! 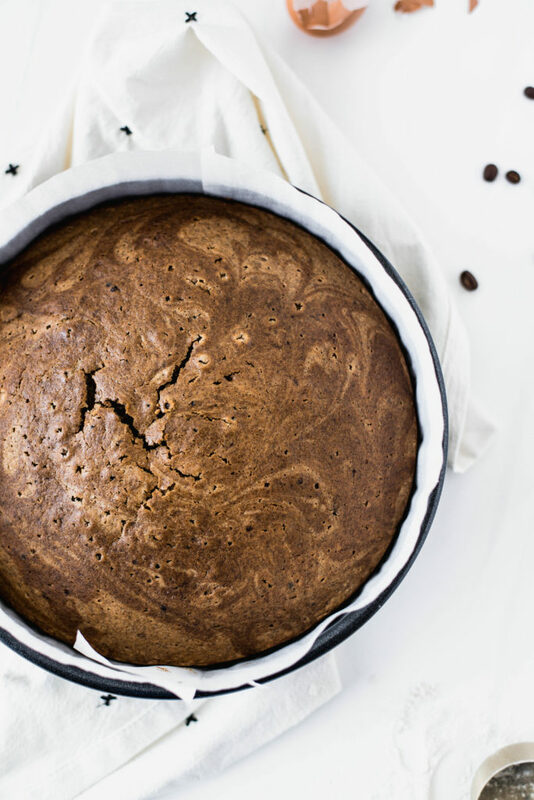 For my version, I created a fun swirl pattern on the top by reserving 1 cup of cake batter and mixing it with 1 tbsp instant coffee with 2 tsps hot water to create a darker swirl on the cake. Serve the coffee cake warm and you’re ready to enjoy! I highly recommend taking your French Vanilla Coffee Cake with big cup of joe and some Silk Vanilla Almond Milk Creamer. It’s fantastic! Grease and line a baking pan with parchment. Finely grind 3 tbsp French vanilla coffee grounds and 2 tbsps. sugar in a coffee grinder for 30 seconds to 1 minute. Set aside. Beat eggs and olive oil until well combined. Add ground coffee mixture and sugar and beat until smooth. Mix dry ingredients: flour, baking soda, and salt. Alternate adding 1/3 of the dry ingredients and 1/3 of the cashewmilk to the eggs and mix until smooth. Reserve 1 cup of the batter. Make a concentrated coffee with the instant coffee and hot water. Mix with the reserved batter. Pour the remaining batter in the pan. Top with the reserved batter in a zig zag patter. Use a skewer to swirl the batters together creating a pattern. Bake for 30-35 minutes or until a clean skewer stuck in the center of the cake comes out clean.